Baking soda is an inexpensive and natural product that has so many uses around the house in addition to baking. From deodorizing your refrigerator to smothering grease fires, that yellow box of baking soda does a little bit of everything. Baking soda neutralizes both basics ("ammonia smells", common in diaper pails) and acidic odors (like the smell from pickles). Sprinkle baking soda on your carpet before vacuuming to eliminate food and pet odors. After emptying the garbage, sprinkle some baking soda on the bottom of the garbage can; this will neutralize the food odors. Keep an open box of baking soda in the back of your refrigerator and in your pantry; replace every 3 months or so. Pour baking soda down your garbage disposal while running warm water. Baking soda causes dirt and grease to dissolve in water, so it is very effective in cleaning kitchen countertops, refrigerators, and stovetops. And sprinkled on a sponge or dishrag, baking soda forms a mildly abrasive scouring powder. Use baking soda dissolved in water to clean and freshen the inside of your refrigerator. For stubborn coffee stains in cups, sprinkle baking soda on the stain, wipe with a damp sponge, and rinse. Baking soda is safe and effective as a paste to remove kool-aid and juice stains from kitchen countertops. 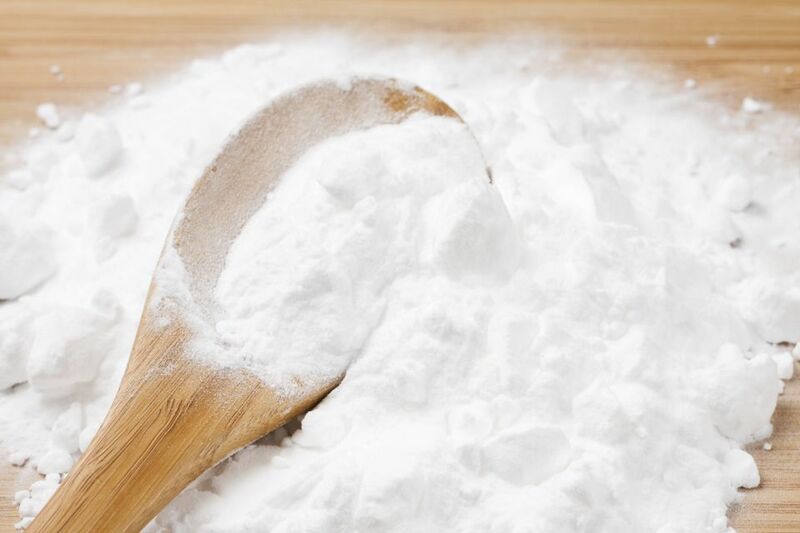 Again as a paste, baking soda is great for removing dirt and grime from the inside door of your dishwasher or the drum of your washing machine.